A political death watch took shape at Virginia's Capitol as Gov. 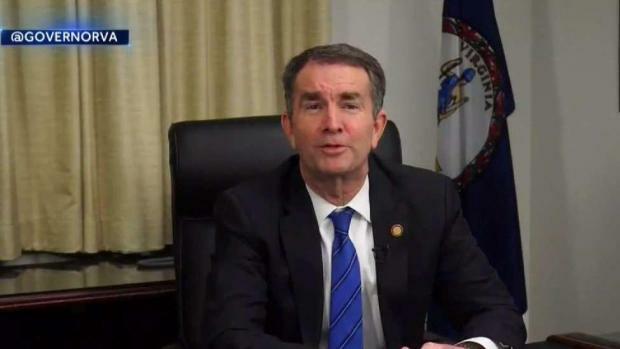 Ralph Northam consulted with top administration officials Monday about whether to resign amid a furor over a racist photo in his 1984 yearbook. Practically all of the state's Democratic establishment — and Republican leaders, too — turned against the 59-year-old Democrat after the picture surfaced late last week of someone in blackface next to another person in a Ku Klux Klan hood and robe. The photo was on Northam's medical school yearbook page. The sense of crisis deepened Monday as the politician next in line to be governor, Democratic Lt. Gov. Justin Fairfax, denied an uncorroborated allegation of sexual misconduct first reported by a conservative website. Fairfax told reporters that the 2004 encounter with a woman was consensual, and he called the accusation a political "smear." Protest chants, meanwhile, echoed around Capitol Square. Lobbyists complained they were unable to get legislators to focus on bills. Security guards joked about who was going to be the next governor. Cafeteria workers and members of the cleaning staff shook their heads in wonder. And banks of news cameras were set up outside the governor's Executive Mansion. Calls from lawmakers for Northam's resignation seemed to ease Monday. State Del. 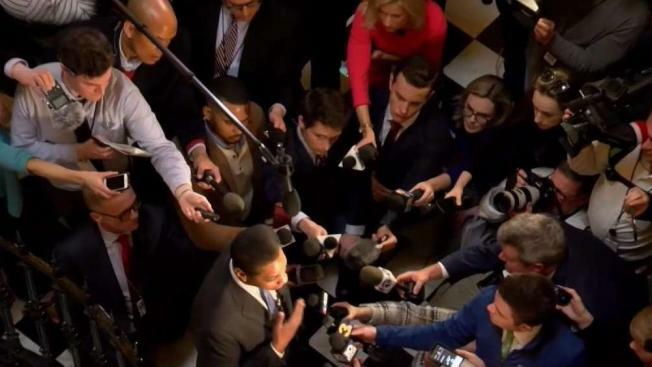 Lamont Bagby, head of the Legislative Black Caucus, said there was little left to say: "I'm going to let him breathe a little bit, give him space to make the right decision." The waiting game played out on what was already one of the legislature's busiest days of the session, with the House and Senate each seeking to complete legislation to send to the other chamber. Finance Secretary Aubrey Layne said he told Northam that the state cannot afford a prolonged period of uncertainty over his future. Northam's office is in the middle of negotiations with GOP lawmakers over a major tax overhaul and changes to the state budget. The Republicans control both houses of the legislature. The scandal threatens to cripple Northam's ability to govern. In a sign Monday of the challenges he could face, Katherine Rowe, president of the College of William & Mary, canceled an appearance by Northam at an event this Friday because his presence would "fundamentally disrupt the sense of campus unity we aspire to." The state's Republican House speaker said lawmakers are hesitant to seek Northam's impeachment and are hoping he steps down instead. Referring to the allegation against him, Fairfax said he was not surprised it came at a critical time: "It's at that point that they come out with the attacks and the smears. It is unfortunate. It really is, but it's sadly a part of our politics now." Late last month, Florida's secretary of state resigned after photos surfaced of him in blackface as a Hurricane Katrina victim at a 2005 Halloween party.